CallProCRM - The most flexible CRM with e-marketing and call efficiency. Call Pro CRM bridges the gap between Call Center Software, CRM, and Lead Generation campaign management as the world's #1 eMarketing and Call-Centric CRM. Call Pro CRM has all of the capabilities of other popular, full-featured enterprise level CRM systems - but it also includes call-centric features only found in high-end call centre software. These are integrated with emarketing features typically only found in marketing automation programs and the system is delivered on one of the most reliable and secure platforms, all at a very affordable cost. With a background in telemarketing software, CallPro CRM saw the need for a CRM system with call-centric features. The company took its background in the telemarketing/call center sector, combined these features with CRM features and added in powerful email marketing functionality and produced CallPro CRM, the most flexible CRM with e-marketing and call efficiency. 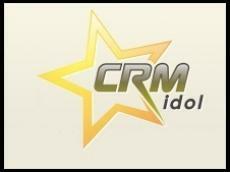 Download the independent review of CallProCRM from CRMIdol 2012 by Paul Greenberg, author of CRM at the Speed of Light. CallPro CRM was launched in December 2011 and has quickly acquired over 400 customers in 33 countries in the space of several months. It is a full-featured CRM product with a number of interesting and differentiating strengths. It has standard sales functionality coupled with a very strong account focus. But CallProCRM has an unusual (if not unique) component that you rarely see in a small business application – a robust sales orders and quoting system. CRM Features - CallPro CRM has the same account management functions, reporting and integration capabilities as other popular CRMs on the market, but it also has call-centric features and smart eMarketing capabilities that have never been seen by any other CRM; the results--a dramatic increase in calls and contacts, which increases responses, appointments and ultimately sales. Full account profiling and contact history - With over 100 user defined fields on accounts and contact names CallPro CRM is able to handle complex accounts. Unlimited contact history tracked by contact name gives a detailed insight into account activity. Territory alignment - Automatically assign or re-assign the appropriate sales rep to each account and territory based on their postal code. Makes it easy to add or modify territories as your calling/sales team grows. Sales analytics - Analyze sales figures by any criteria (accounts, rep, type, volume, etc.) then easily view and customize the reports with the built-in Report Writer. Allows you to see exactly the information you need to better manage your team and sales pipeline. Customized dashboards and reports - User defined reports and charts can be easily categorized and grouped together into personalized dashboards, allowing you to see all your KPIs (Key Performance Indicators) on a single web page for true One Page Management. Opportunity Tracking - Track individual opportunities and all their related details using a report format that you can easily create and re-use. CallPro CRM can handle single or multiple opportunities per account. CallProCRM also stands out in five other areas. CallProCRM is call-centric and it is designed to increase calls, appointments and sales. Call centre software can help increase calls, but does not include built-in CRM functions for long-term account management or for integrated marketing campaigns. Most popular CRM's are IT or management centric and can be effective for account management, do a fair job for marketing - but they are cumbersome for teams who call for a living, since they seldom increase calls or sales. CallProCRM on the other hand is made for the professional caller (the primary user) and is first and foremost optimised to increase calls, which increases responses, appointments and ultimately--sales. Integrated telephony but even more so, call management capabilities – they give you the opportunity to monitor the calls of your sales reps in many different ways ranging from the call history to the management of call scripts. This is a great benefit to the telesales world, and CallProCRM is optimised for call centres and lead generation agencies. CallProCRM is Call Centric - CallPro CRM is call efficient and is designed for sales and calling professionals and will actually increase calls, sales and sales activity (often increasing calls from 70 calls up to 240 calls or more in a day). This is, without a doubt, the most robust feature of CallProCRM. You have the ability to pretty much build any kind of field and provide a business rule for any kind of action that you might want to take. You can create new screen layouts and display call scripts and surveys. However, its not for the faint of heart. Customisation takes thought and work and some expertise to do right and, while not difficult, is not intuitive either. This is certainly an area where SmartCloud could help you. Customisation is a powerful capability but it is designed for very mature small business who have structured and defined business processes. It could almost be overkill for smaller organisations, except in a few vertical situations. But its power is clear and its depth amazing. CallProCRM has a highly competitive, perfectly situated email marketing feature that is smartly done. Not only does it make setting up a campaign easy but it’s reporting is excellent with the number of clickthroughs, openings etc. shown in an easily digestible format. It is also easy to create a call list from those recipients who actually opened the email. CallPro CRM has integrated email marketing capabilities - is one of the most intelligent e-marketing (& email marketing) applications on the market, plus, it is integrated with advanced follow-up calling features to help calling teams catch more prospects and ultimately help sales to close more deals. This built-in, smart e-mail marketing and campaign management increases leads. Most CRMs have basic e-mail and campaign management capabilities, others say "mass" e-mails, but limit you to 250-500 e-mails per batch, requiring a third party e-marketing application (which is seldom integrated) to do even basic e-marketing campaigns to a large prospect or customer list. In contrast, CallProCRM integrates e-mail marketing with intelligent auto-responders, smart campaign management and a proprietary auto dialler that can re-prioritise the dialling queue according to opened e-mails. It is one of the most intelligent e-marketing applications on the market - plus, it is integrated with advanced follow-up calling features to help calling teams catch more prospects - and ultimately help sales to close more deals. It’s not that there are a lot of integrations for CallProCRM, but the ones that exist are intelligently chosen. At the moment the integrations are QuickBooks and Xero, which are accounting back office systems for small businesses and in the future they are looking to integrate with Sage’s accounting packages. What makes these intelligent is that they are taking both popular (QuickBooks and future Sage) and up and coming (Xero) back office packages that small businesses will use. They are integrating them tightly so that the best features of both emerge. For example, with the QuickBooks integration, combined with the call management and telephony capabilities, you can do collections directly from CallPro CRM. Very, very nice. No Annual Contract: Unlike many CRMs that lock you into a year-long contract, even if you discover their product does not meet your needs, Call Pro CRM can be accessed on a month-to-month basis. Option for 15% discount for one year contract - only after you are positive Call Pro CRM will meet your needs. No Capital or IT Expenses: CallProCRM does not require expensive software, high-performance servers, redundant continuous data backup, fallover data centers, SSL services and a world-class IT department to configure it and keep it all up and running. Concurrent Users: Licensed per account, not per user, so multiple users can access the same account. Provides access at a lower cost, since you only pay for the total number of users logged in at the same time, versus paying for individuals whether they are using the system or not. 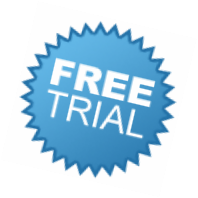 Free Features: Unlimited Data Storage, Unlimited e-mails, Free auto-dialing, plus call-centric features. CallPro CRM provides the greatest feature set (including unique call-centric features that increase call volume) for a lower price per user - and you are not locked in for a year at a time.